Pine. Fixed or adjustable shelves. Any size can be made. Call for prices on different sizes. 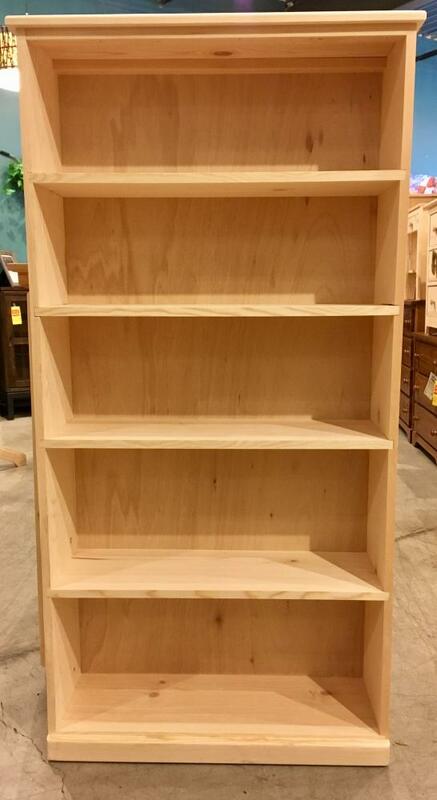 Pictured model is: 9" deep, 30" wide, 60" high, fixed shelves.